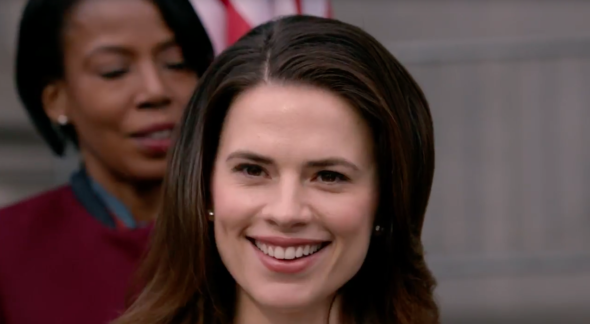 “Prison is full of good-looking black poster boys.” ABC has released the first trailer for their new Hayley Atwell series Conviction. The drama stars Atwell as Hayes Morrison, a lawyer and former First Daughter who must help the wrongfully convicted in order to avoid jail time herself. Eddie Cahill, Shawn Ashmore, and Emily Kinney also star. What do you think? Are you a fan of Hayley Atwell from Agent Carter? Will you watch Conviction? Wonderful show , I never missed am epic so. Please don’t cancel Conviction. Yes I will definitely watch Conviction! I really love Hayley, albeit, I’d prefer her Peggy Carter role. Nonetheless, it sounds like an interesting story line.